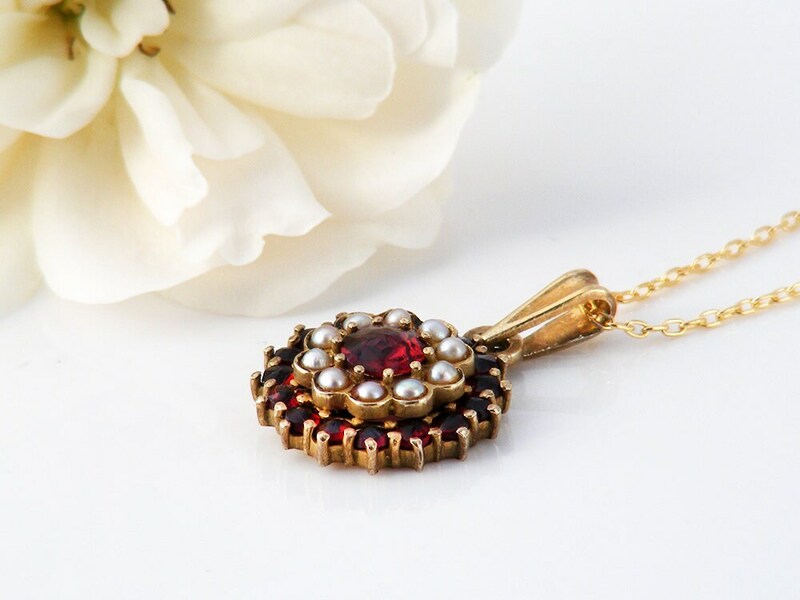 A delightful petite vintage pendant layered with Bohemian Garnets and seed pearls. 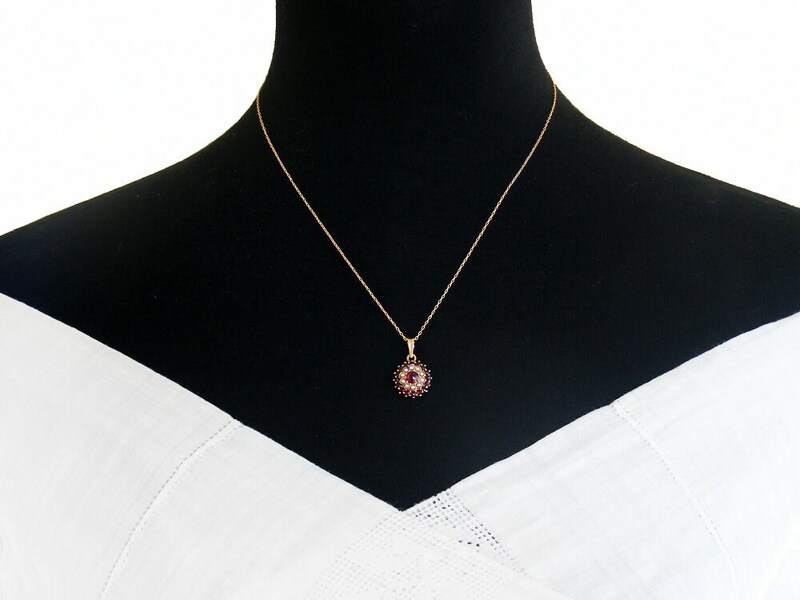 A very pretty and feminine Victorian style pendant from the 1960s. 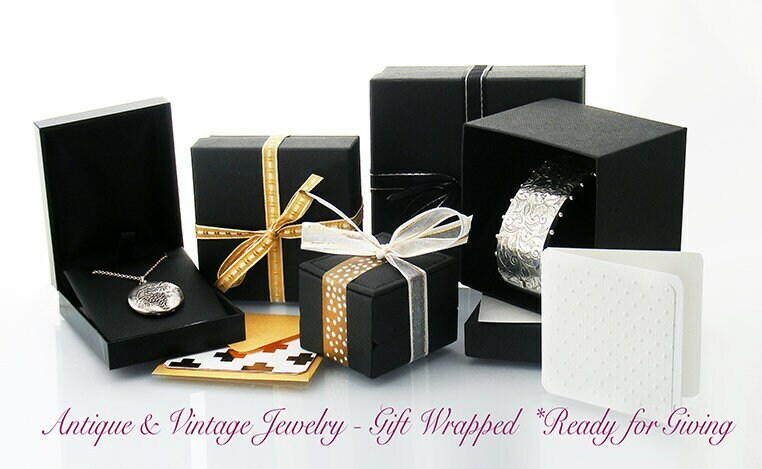 The faceted pyrope garnets are a rich and luscious red and are layered; a ring of natural seed pearls surrounded by faceted garnets with a larger higher garnet to the center. 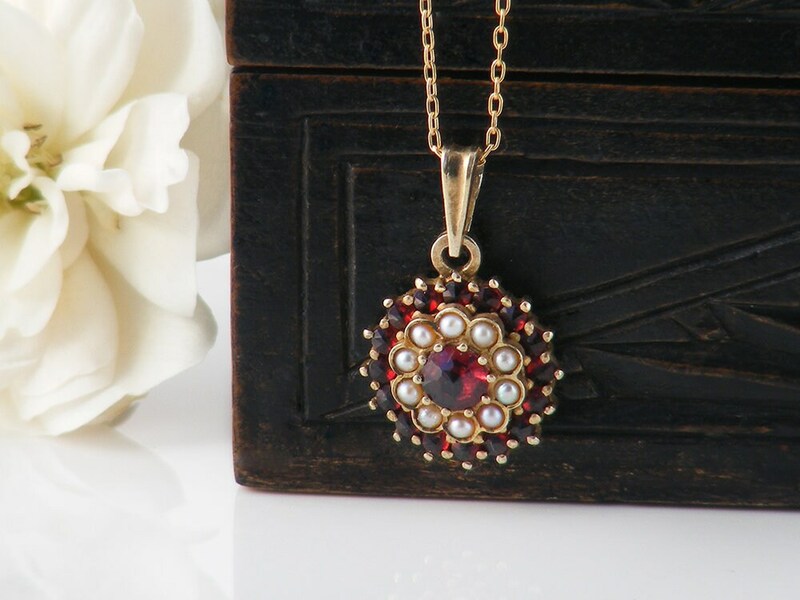 The garnets have that brilliant flash of crimson typical of pyrope garnets and the pearls are white, showing soft rainbows of color with change of light. The focal measures .59 x .59 inches or 15 x 15mm and the drop from the chain including the shaped bail is .9 inch or 23mm. Condition: Very, very good. Some darker patina to the setting, stones and pearls are all present and lovely. Age: c.1960 (quite possibly older). 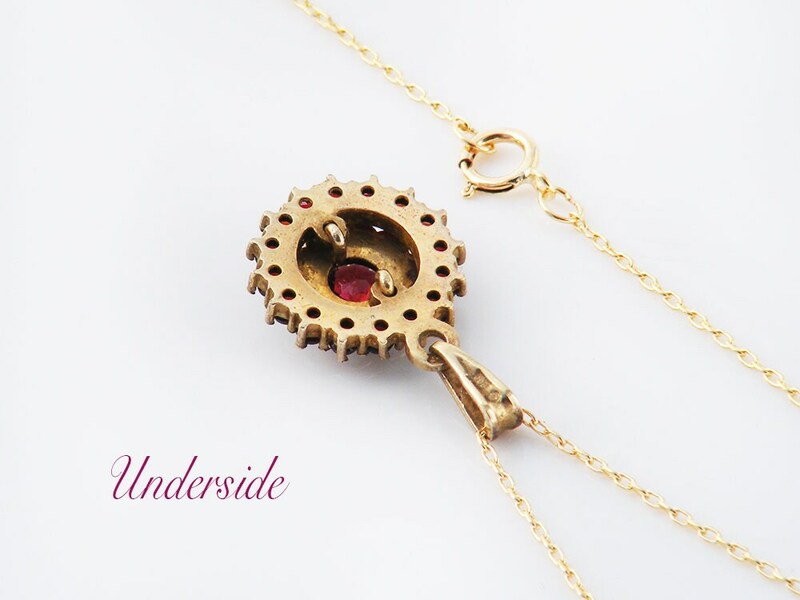 The Chain: The pendant is presented on a new chain 18 inches or 45.5cm long, 14ct Gold Fill and stamped as such to the clasp. Photograph 2 shows the necklace on a life size torso. 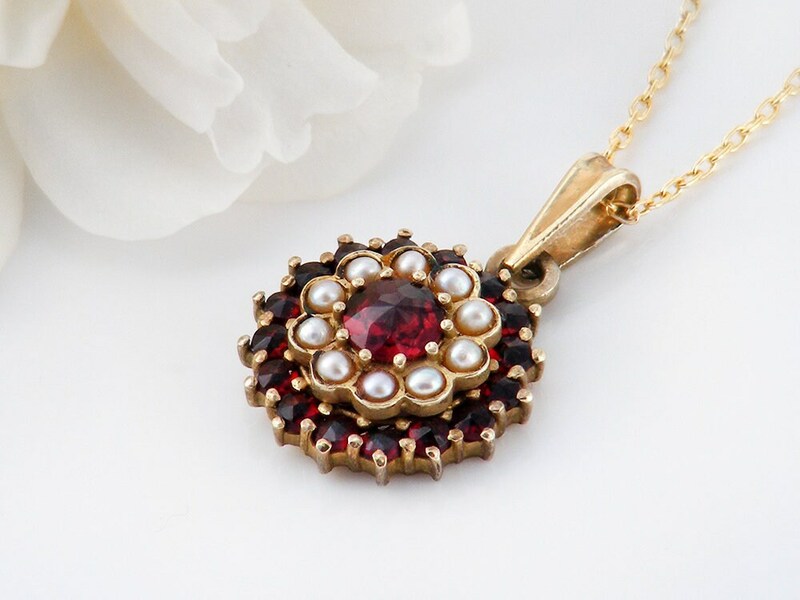 A richly textured pendant that is elegant and feminine - the contrast of rich red garnets with the pearls is luscious.